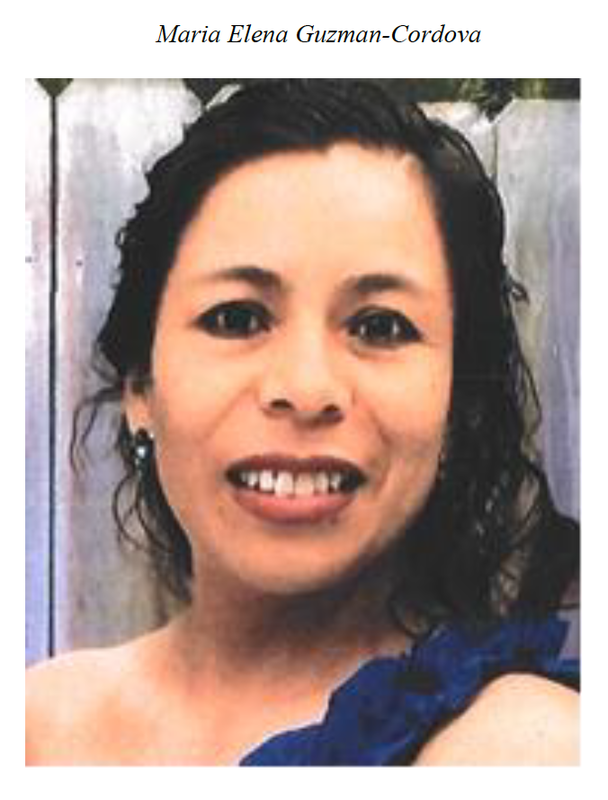 San Diego County Crime Stoppers, working with the San Diego County Sheriff’s Department’s Homicide Detail, continue to seek information about the unsolved murder of Teresa Gomez Madrigal. On February 24, 1999, the body of a woman, who was later identified as 33-year-old Teresa Gomez Madrigal from Riverside, was found near the entrance to Lake Poway in the city of Poway. The cause of death was due to gunshot wounds. On March 4, 1999, Teresa's 1993 Toyota Camry was found abandoned in a parking lot seven miles from her Riverside home. The back seat was covered in blood and there was a bullet hole in the roof. 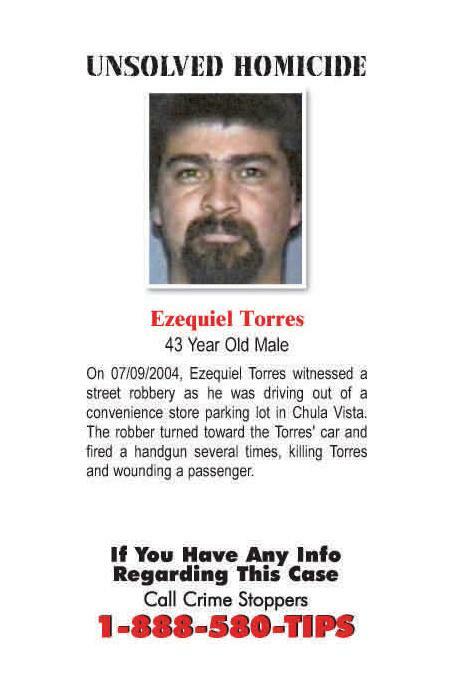 Anyone with information about this homicide is asked to call the Sheriff’s Homicide Detail at (858) 974-2321 or the San Diego County Crime Stoppers anonymous tip line at (888) 580-8477. Crime Stoppers is offering up to a $1,000 reward to anyone with information that leads to an arrest in this case. Visit the Crime Stoppers website at www.sdcrimestoppers.org for more information on how to send anonymous web and mobile app tips. San Diego County Crime Stoppers and the San Diego Police Department’s Homicide Unit continue to look for leads on the eleven year anniversary of the unsolved murder of Thomas Johnson. 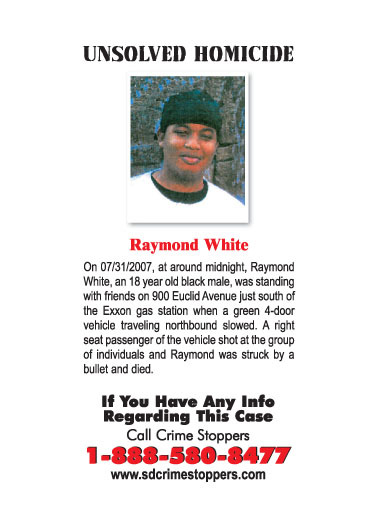 On December 23, 2005, at 10:43 p.m., San Diego police officers responded to a report of a male who had been shot in front of a residence located in the 5000 block of Manomet Street. Officers arrived at the location and found a male later identified as 31-year-old Thomas Johnson lying in the front hallway of the residence and was suffering from a gunshot wound. Officers and medics attempted life saving measures, but Johnson succumbed to his injuries. The preliminary investigation revealed that Johnson had left his residence at approximately 10:30 p.m. and returned home ten minutes later. A witness then heard a commotion near the front of the residence followed by several gunshots. Questions regarding the investigation should be directed to Lt. Mike Holden at (619) 531-2425 or email at mholden@pd.sandiego.gov. Questions regarding Crime Stoppers should be directed to Officer Mark Herring at (619) 531-1500 or email at msherring@pd.sandiego.gov.